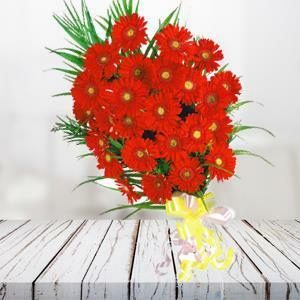 Surprise your loved one in India by sending him/her this beautiful bunch of 25 red gerberas through GiftstoIndia24x7.com. 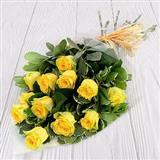 The colorful and fresh look of this bunch will surely brighten your dear one's day in no time. 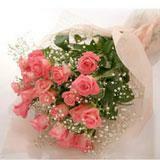 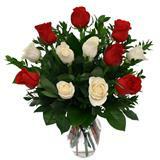 To make your gift more attractive, you can also send other Gifts to India by choosing from our wide collection. 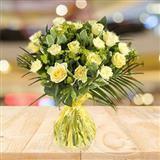 For Example : If the birthday is on 25th of the month, in the Special Instruction mention the occasion date and select the Date of Delivery as 24th.